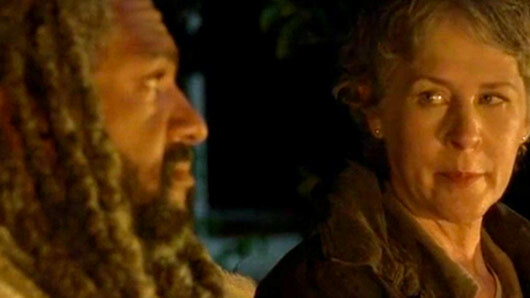 In recent weeks, the show has made clear that King Ezekiel cares deeply for Carol in his frequent checking on her and bringing her food. Richard even wanted to trick Ezekiel into entering the war against Negan by framing Carol for the murder of some Saviours. When pressed further about whether King Ezekiel might get lonely, since he puts up a front, Payton said: “He’s got a small inner circle, you know. I think one of the reasons why he’s so reluctant to start another fight with anyone is that he’s lost people close to him, and I think that Carol maybe reminds him – and maybe even Morgan – reminds him of people that he was close to. Payton also discussed his thoughts on what King Ezekiel liked about Carol when they were first introduced in part 7A. He said: “I think not just that she saw through so quickly but that she called him on it so quickly, you know? I think most people see his tiger and think, ‘wait, maybe I’ll just give this a bit of time to see what’s going on’. But I think that also her survival instinct is different from most people’s. Just the front she puts up, he was like ‘OK, this is different from what I’m used to seeing’.